Everyone seems to be wearing sheet masks these days, but little do they know the amount of chemicals they’re leaving on there for 15-20 minutes. Many of those trendy treatments contain ingredients such as synthetic fragrances, parabens, phthalates, etc. that sit there, being soaked up by your skin. Not to mention, they’re not the most environment-friendly once they’re thrown away. 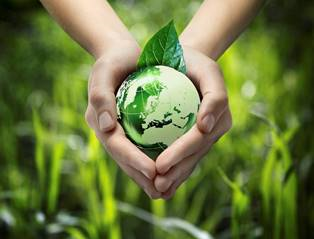 This Earth Day, unmask the first-ever line of eco-conscious sheet masks from BioRepublic. Offering a 15 minute rejuvenating facial treatment, these masks ensure optimal delivery of vital nutrients and nutrients to the skin. Paraben, sulfate, phthalate and triclosan-free, a blend all-natural ingredients including witch hazel water, licorice root, star anise, green tea extract and vitamin E deliver the necessities the skin needs to maintain a natural glow. Plus, each biodegradable and recyclable mask is formulated with bamboo fiber, which consumes less water in production than trees used for pulp fiber masks, takes out more carbon dioxide out of the atmosphere than trees used for pulp fiber masks, prevents soil erosion and deforestation and does not require fertilizers or pesticides. With BioRepublic sheet masks, you can green up your beauty routine 365 days a year in 20 minutes or less! 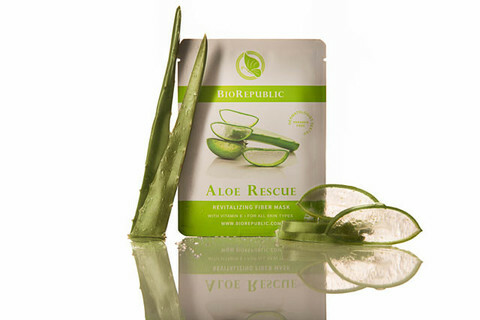 The Aloe Rescue Repair Mask ($4.99) was my favorite from Bio Republic. It's infused with natural collagen and perfect for after being out in the sun all day. It provided immediate hydration and when you have dry skin like myself, aloe rescue is super refreshing. Nothing works better on dry sun exposed skin then aloe vera. This mask at only $5 is really a must have for me. My other trouble spot? Under my eyes. 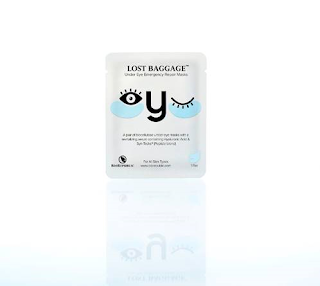 I am constantly waking up tired with bags under my eyes, so the Lost Baggage Under Eye Emergency Repair Mask ($5.00) is clinically designed to repair late night damage and delay the signs of stress and aging, these under eye patches deliver a swift blow to wrinkles, bags and dark circles. Each one contains a restorative infusion of peptides, elastin, vitamin E and hyaluronic acid. Made from 100% pure biocellulose hydrogel material, which is known for its ability to absorb and lock in moisture, these express masks offer an effective, luxurious treatment for all skin types. 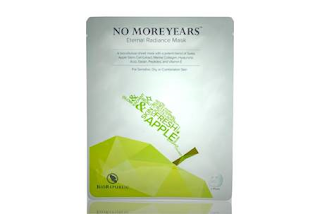 If you have combination skin, the No More Years Eternal Radiance Mask ($10.00) will probably be your best bet. "A targeted express facial treatment designed to slow the signs of aging. 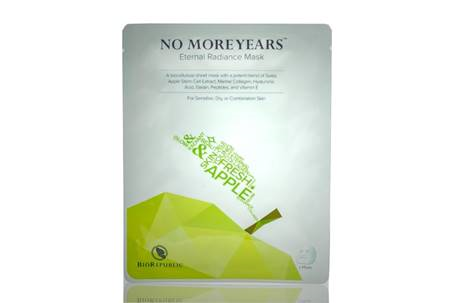 The mask delivers a powerful infusion of regenerating nutrients, Swiss Apple Stem Cell Extract, marine collagen and hyaluronic acid to lock in moisture and keep skin looking plump, firm and full of life. " Since I don't have combination skin, this was still amazing for aging skin, but my face is so dry I think the Aloe Vera was still the one that worked best for me. But if you have combo dry/oily skin, this will work wonders. And last what's not best for your face other then cucumbers? 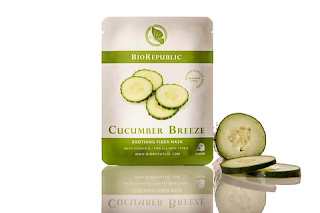 The Cucumber Breeze Soothing Mask ($4.99) is perfect for stressed skin combination, dry or oily. With plant collagen and vitamin C this is sure to make your face feel refreshed and clean. Soothes stressed skin and improves complexion. Tightens pores and reduces appearance of fine lines. For calm, rejuvenated, spring-fresh skin. This was also one of my top favorites. At $5, you can't beat these face masks. Bio Republic has a face mask for every skin type, regardless of your age, gender, skin type, etc. They have it all. Visit them here for more information on their amazing sheet masks.